Section 25619 identifies 15 qualified counties as eligible to receive grant funding, 7 of which are located in the Desert Renewable Energy Conservation Plan (DRECP) area. The 15 qualified counties are: Fresno, Imperial, Inyo, Kern, Kings, Los Angeles, Madera, Merced, Riverside, San Bernardino, San Diego, San Joaquin, San Luis Obispo, Stanislaus, and Tulare. The seven counties with land inside the DRECP include: Imperial, Inyo, Kern, Los Angeles, Riverside, San Bernardino, and San Diego. 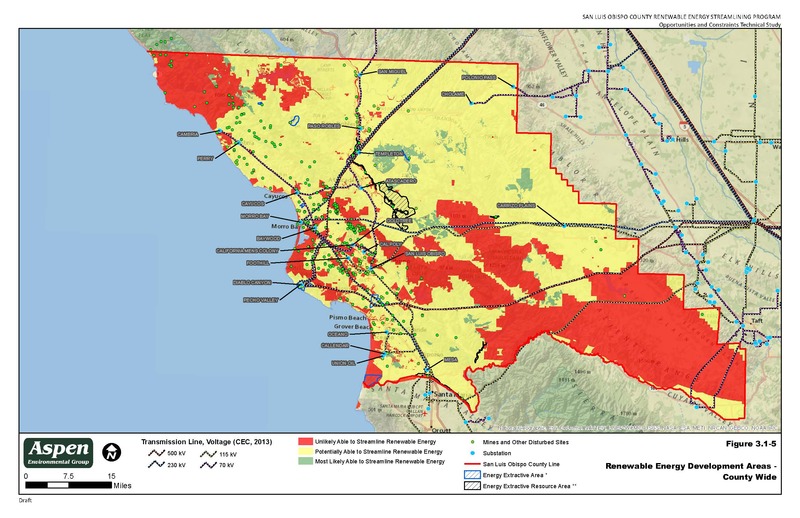 Of the 15 qualified counties, the California Energy Commission has awarded more than $3 million to six California counties (San Luis Obispo, Inyo, San Bernardino, Imperial, Riverside and Los Angeles) to update their local plans with long-term renewable energy development and conservation objectives. Aspen, together with our partners, worked on plans and associated environmental clearance for four of the six chosen counties to support planning efforts.